Wall and ceiling textures are a good way to bring visual interest to a room. These designs may be light and simple or heavy and ornate depending on the desired look of the home. If starting with a clean piece of drywall, the texture will be the last step, but when beginning with an already textured wall, the process is more in-depth. In this situation, a clean, smooth surface must be created before a new texture may be added. Wall texturing may be applied in several ways to achieve different looks. Creating a new, completely smooth surface is a fairly simple process and may be done by even novice do-it-yourselfers. This requires using a joint compound -- the same material used to seal drywall joints -- and a trowel or broadknife. Enough material should be applied that the original texture is covered, leaving a smooth surface. Once this coat has dried, the new texture may be applied. Depending on the desired finished look, there are a number of textures to choose from. Using a texturing machine is how most professionals apply textures; a trailer-mounted machine is available for rental from most home improvement stores. The machine requires a powdered texturizing agent, water and air pressure to apply the texture. This option is fairly easy to use and provides a wide variety of tips and nozzles to vary the amount of texture and, for large spaces, will provide an even appearance throughout. A hopper gun, a gun-like nozzle and trigger arrangement that is connected to a hopper, works on a similar principle but is meant primarily for small spaces. Spray-on texture is sold at most home improvement stores and works for patches or small areas. These are cans filled with texturing material available in light, medium or heavy texture. The process is similar to spray painting but may take a bit of practice to perfect. Most manufacturers recommend practicing on a piece of disposable drywall before applying it to the space. The cost per can makes it fairly expensive, so it is not an ideal option for large spaces. Painting on a texture is an ideal method for creating a light-looking texture to walls or ceilings. It is also a simple process that may be done while painting or applied to the skim coat. When still wet, a texture additive -- either a fine sand or rock salt -- is applied and leaves behind a rough, pitted look. For something a bit lighter, use a stippling paint roller, which may be found in just about any home improvement painting isle. This roller leaves behind a look similar to that provided by plaster at a fraction of the cost and energy. Applying a texture by hand requires both a steady hand and, ideally, some experience with texturizing materials. This method uses texture compounds or drywall cement, which is then applied over the top of the smooth surface. The benefit of this method is that it allows for creativity and will give a one-of-a-kind appearance. Light, medium or heavy textures are possible. Hand application also makes the Tuscan or Mediterranean look possible. 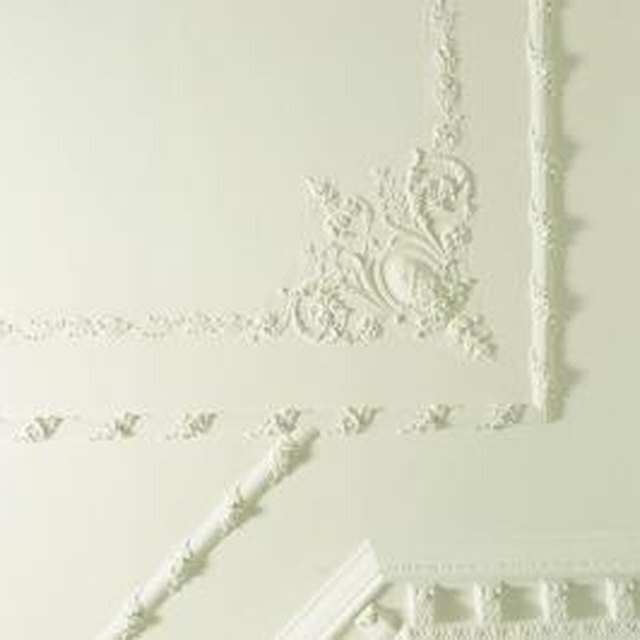 These techniques require a thick paste-like compound and a drywall knife or trowel.